Did you know that you can own gold or silver in your IRA? Many people aren’t aware that they can hold physical precious metals in their individual retirement accounts. However, not all custodians are authorized to hold precious metals in their IRAs. 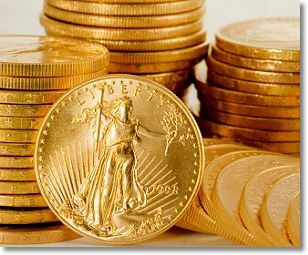 Only Self-Directed IRAs are allowed to hold physical gold and silver. In order to purchase precious metals for your IRA, you would need to complete what is called a “Direct Transfer” or “Trustee-to-Trustee” transfer of your funds from your current custodian to your new Self-Directed IRA. This article will outline the steps that you need to take in order to complete this type of transfer. One of our gold specialists will answer all of your questions and walk you through the Self-Directed IRA application. The application can be completed online and takes approximately ten minutes. You will be issued an account number within 24-48 hours and the transfer process will begin immediately. A direct transfer is processed using the transfer request form. This form notifies your current custodian that you are moving funds out of your current IRA and instructs them on how to do so. IRA custodians do not accept e-signatures on the transfer request form, and will instead require a manual signature for this form. Your account executive will inform you on whether your custodian requires a “wet signature” or if they will accept a faxed copy. Once the transfer request form has been received, the in-house IRA Processing Department will complete the transfer request form based on your current custodian’a processing procedures. The department will then send out the form based on how your custodian requests to receive it. After the transfer paperwork has been sent, the IRA Processing Department will call your current custodian to confirm that everything has been received in “good order”. The department will be diligent in making sure that everything is processed according to your wishes. The IRA Processing Department will consistently check on the status of your transfer request until the funds are secured in your Self-Directed IRA. You will be notified as soon as the funds are received, and you will then be able to purchase the precious metals of your choice within your IRA. American Bullion specializes in IRA transfers and 401(k) rollovers and will complete the entire process for you, tax-free and hassle-free. We help our clients roll over or transfer funds into a precious metals IRA, whether it’s a Gold IRA, Silver IRA, or other precious metals. If you are interested in a Self-Directed Gold IRA, speak with one of our knowledgeable precious metals experts today at 1-800-326-9598.